The Diocese of New Westminster is situated on the ancestral traditional territory of the Coast Salish peoples who have lived on this land of beauty and abundance for thousands of years prior to contact with European settlers. 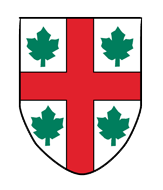 Today, the diocesan boundaries cover the territory of more than forty first nations. The Diocese encompasses much of the area commonly known as the “Lower Mainland of British Columbia” and is bounded to the north by the Coast Mountains, to the southeast by the Cascade Mountains, and traversed from east to west by the Fraser River flowing to the Pacific Ocean. The Ecclesiastical Province of British Columbia and Yukon is one of four ecclesiastical provinces in the Anglican Church of Canada. The territory covered by the province encompasses the civil province of British Columbia and Yukon. There are five dioceses and one recognized territory with the status of a diocese in the province: British Columbia, Caledonia, Kootenay, New Westminster, Yukon, and Anglican Parishes of the Central Interior. The current Metropolitan of the Province of British Columbia and Yukon is John Privett of the Diocese of Kootenay. As a partner in the worldwide Anglican Communion and in the universal Church, we proclaim and celebrate the gospel of Jesus Christ in worship and action. We value our heritage of biblical faith, reason, liturgy, tradition, bishops and synods, and the rich variety of our life in community. We acknowledge that God is calling us to greater diversity of membership, wider participation in ministry and leadership, better stewardship in God’s creation and a stronger resolve in challenging attitudes and structures that cause injustice. Guided by the Holy Spirit, we commit ourselves to respond to this call in love and service and so more fully live the life of Christ.